This is the first of a two-part story. Tomorrow, NCPW will report on the findings of UNC marine scientists who are studying pollution in Jordan Lake, funded by the NC Collaboratory in the 2016-17 budget. The legislature could use those findings to inform policy and rules regarding development in the watershed. Weeds. Insects. Fungus. Head lice. SePro has a chemical to kill it. And as CEO of SePro, Bill Culpepper, through his work with Crop Life America and its affiliate Responsible Industry for Sound Environment (RISE) — both front groups for the agrichemical industry — has fought to kill tighter federal and local regulations on pesticides, herbicides and algaecides. He also founded the Aquatic Ecosystem Restoration Foundation. Based in Flint, Mich., AERF funds research into chemical treatments in lakes and ponds. The group also paid the lodging, travel and food expenses for EPA officials who traveled from Washington, D.C., to Florida for an aquatic pesticide tour. The state budget includes $1.3 million in a no-bid contract for SePro to conduct a trial of chemical treatments for algae in Jordan Lake. The EPA and NC Department of Environmental Quality, as well as independent scientists, have questioned the toxicity and cost-effectiveness of those treatments. 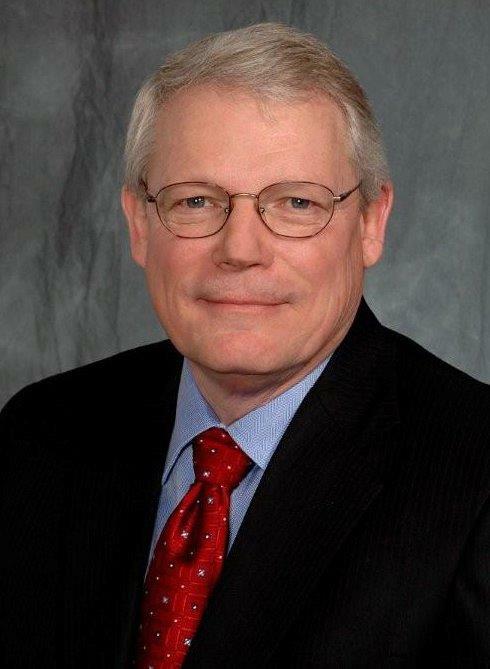 Culpepper founded SePro in 1993 after spending 25 years with the pharmaceutical giant Eli Lilly and its joint venture with Dow Chemical, DowElanco. (The company is now known as Dow AgroSciences.) Since he started SePro in Carmel, Ind., an upscale town north of Indianapolis, Culpepper has expanded the company’s operations to Rocky Mount and to Whitakers, where it launched a 410-acre research and technology facility at the former Zeneca site on Watson Seed Farm Road. 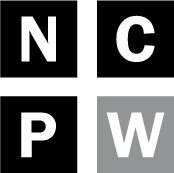 NCPW sent an email to Culpepper but did not receive a reply. Two calls to SePro were not returned. According to an NC State University article, Culpepper has “a long history of contracting with the College’s Department of Horticultural Science.” He spearheaded the university’s $275 million Windows of Opportunity fundraising campaign. Federal tax returns for the tax-exempt SePro Foundation show it invested in DuPont, Pfizer, Eli Lilly and General Electric, then used some proceeds to donate $10,000 to the NCSU Foundation with another $10,000 slated for the university’s endowment fund. Even before Culpepper started SePro, in 1991 he launched RISE as a response to Sen. Joe Lieberman’s concerns over the use of pesticides and herbicides on lawns. Culpepper was quoted in Lawn & Landscape magazine as saying the industry was ” not prepared to have a discussion to defend ourselves … and were beginning to ask the question, what do we do as an industry.” Among RISE’s first priorities was to work to limit the power of municipalities to regulate pesticides. It succeeded in getting laws passed in 40 states. RISE recently joined a lawsuit against Montgomery County, Maryland, officials who passed a ban on the use of certain “nonessential” pesticides on private lawns. Golf courses, gardens and farms are exempt. RISE also opposed the Waters of the US rule, incorrectly asserting that it would “subject all waters to regulation, including man-made water bodies, rights-of-way, golf course ponds, ditches and flood plains.” Only waters adjacent to tributaries protected under the Clean Water Act would have been regulated under WOTUS. The rule also would have excluded many man-made ditches, ponds and irrigation systems. But the most troubling endorsement from Culpepper-related organizations came from Crop Life America. Last week, the agrichemical trade and lobbying group, which includes DuPont as a member, heralded the nomination of Michael Dourson as assistant administrator of EPA’s chemical safety office. Yet according to online investigative outlet The Intercept and the advocacy nonprofit the Environmental Working Group, Dourson allegedly aided DuPont in downplaying the health risks of C8 in Teflon products, which is very similar, chemically speaking to GenX. Dourson founded TERA — Toxicology Excellence and Risk Assessment — and in a study commissioned by DuPont, determined that a safe level of chemicals like C8 — known as PFOAs — in drinking water to be 150 parts per billion. Independent scientists have since determined this level is far too lax for PFOAs, and have recommended much stricter thresholds. Dourson testified on behalf of DuPont in a class-action lawsuit filed by people who had developed cancer as a result of ingesting contaminated water in Ohio and West Virginia. Those residents won a settlement of $671 million. After more than two months, the NC Department of Environmental Quality still has not provided contracts and proposals regarding an Indiana-based company’s $1.3 million plan to chemically treat Jordan Lake — a plan that is now law. But further review of publicly available records shows that Bill Culpepper, founder of that company SePro, is a champion of the chemical industry with deep and long-time North Carolina connections that likely helped him secure the deal. (This Bill Culpepper is not the same person as the former legislator who represented parts of eastern North Carolina.) A Nash County native and NC State University graduate, Culpepper co-founded and serves on boards of foundations and special interest groups that have vigorously opposed stricter regulations governing chemicals and pesticides. And one of these groups, Crop Life America, of which Culpepper is a board member, recently applauded the Trump administration’s nomination of Michael Dourson to the EPA. Dourson had been commissioned by DuPont to set low health risk levels of C8, a chemical cousin to GenX. On May 19, NCPW filed a public records request with DEQ seeking any contracts and proposals, both draft and final, with SePro. Despite NCPW’s repeated requests for the information, over the past two months, DEQ spokespersons have said that the department’s attorneys were still reviewing the documents for any potential proprietary information that would have to be redacted. Under North Carolina law, governments must provide public records within “a reasonable amount of time.” Any redactions must be explained. Nonetheless, the law is often flouted. The McCrory administration delayed filling some requests for six months to more than two years. Records were often redacted with no explanation. As NCPW reported on May 25, SePro, through its powerful lobbyist and former House speaker Harold Brubaker, carved out $1.3 million in the state budget for a trial program to treat Jordan Lake with EPA-approved algaecides and herbicides. The budget passed both the House and Senate with that earmark. DEQ is expected to hire the company to study the effectiveness of using copper sulfate and phosphorus-lock chemicals in the reservoir, a drinking water source for more than 300,000 people. However, independent scientists, as well as those within DEQ and the EPA, internal emails show, disapprove of these methods because of toxic risks to ecosystems and questions regarding the chemicals’ cost effectiveness in controlling algae. According to the budget language, testing and sampling to allow DEQ to issue a permit for the SePro trial must begin by Sept. 1. The US Army Corps of Engineers, which built Jordan Lake in the early 1980s, must approve of the trial. Considering the Corps’ dismay over the failed SolarBees project “another legislative fiat” their buy-in is questionable. Hank Heusinkveld, spokesman for the USACE’s office in Wilmington, said the Corps does not have a proposal from SePro. The project’s status is “in limbo,” Heusinkveld said. The trial program would end in 2020, with annual reports due to the legislature each September. Any unused money would revert to the General Fund.